Vitamin D improves health in so many ways that you’ll want to jump for joy. THE BASICS: We make prodigious amounts of vitamin D when our skin is exposed to sunlight. However, when we use sunscreen outdoors or spend most of our time indoors, we block the natural means of making this vitamin. Not surprisingly, deficiencies are very common, especially during the winter months. Supplemental vitamin D can enhance immunity, reduce the risk of cancer and heart disease, strengthen bones and muscles, protect against diabetes, and lift our moods. ALIAS: The two most common forms of vitamin D are D3 (cholecalciferol, which is the form animals make) and D2 (ergocalciferol, which comes from plants and mushrooms). Vitamin D3 is preferred; D2 may not work as potently. HOW VITAMIN D WORKS: Vitamin D is created in the skin and then converted to the hormone calcitriol by the kidneys. Vitamin D activity in the body is also influenced by inherited mutations in the vitamin D receptor of cells. HEALTH BENEFITS: Recent research has revealed multifaceted benefits of vitamin D. Bone and muscle. Vitamin D is required for the incorporation of calcium into bone. The vitamin is also needed for normal muscle production, and current medical thinking is that weak muscles lead to falls and broken bones. Taking 800 IU or more, along with 600 mg of calcium, can reduce the risk of bone fractures by one-third. Cancer protection. Sixty studies have found that high levels of vitamin D are associated with a lower risk of many different types of cancer, including breast, prostate, colon, and lung cancers, as well as leukemia and myeloma. High levels of vitamin D are also associated with a lower risk of skin cancer, according to Michael Holick, PhD, MD, of the Boston University School of Medicine. Researchers at the University of Heidelberg in Germany studied more than 3,000 people for eight years and found that those with low blood levels of vitamin D were one-third more likely to die from cancer. Research indicates that vitamin D from sunlight protects one from skin cancer, but taking it orally may not. Resistance to infection. Before the discovery of antibiotics, sunlight and cod liver oil were the treatments for tuberculosis. Recently, researchers discovered that vitamin D boosts levels of cathelicidin, a powerful germ-killing peptide found in immune cells, skin, and other cells. Adequate vitamin D might protect against upper respiratory infections, such as colds and flu. In a study of almost 19,000 people, Adit A. Ginde, MD, of Children’s Hospital Boston, found that low levels of vitamin D were associated with a 36 percent greater risk of infections. Cardiovascular disease. Researchers at Massachusetts General Hospital found that people with the lowest levels of vitamin D were 62 percent more likely to experience a heart attack, heart failure, or stroke. In addition, people with low vitamin D levels were twice as likely to have hypertension, compared with people who had the highest levels of the vitamin. Blood sugar. A growing body of research indicates that the combination of vitamin D and calcium has a strong bearing on the risk of type 2 diabetes. Low levels of vitamin D have been linked to insulin resistance, whereas supplementation has been shown to improve or maintain glucose tolerance. A three-year study at the Tufts Medical Center in Boston found that a combination of 700 IU of vitamin D and 500 mg of calcium prevented increases in fasting blood sugar, while blood sugar levels increased substantially among people given placebos. BACKGROUND CHECK: Vitamin D is extraordinarily safe. You would have to take more than 10,000 IU of vitamin D daily for months to develop signs of toxicity. GLEANINGS: Three-fourths of Americans don’t have optimal levels of vitamin D, according to a study in Archives of Internal Medicine. Many people limit their sun exposure, use excessive amounts of sunscreen, or spend too much time indoors—all of which interfere with vitamin D production, even in summer. For many, year-round supplements are the ideal solution. HEADS UP: Researchers at the Medical University of Graz in Austria found that people with low blood levels of vitamin D were twice as likely to die from any cause, compared with people who had high vitamin D levels. 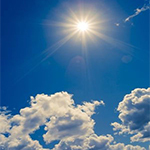 WHAT YOU SHOULD TAKE: If you stand in the summer sun (in a T-shirt and shorts, without sunscreen) for about 10 minutes, your body will produce about 10,000 IU of vitamin D. Alternatively, take 2,000 IU daily, and 5,000 IU daily over the winter or if you have a dark complexion.